It doesn't get easier - heat up yesterday's leftovers, toast some pitabreads and dinner is served. Enjoy! 1. Cook the rice according to the packet. 2. 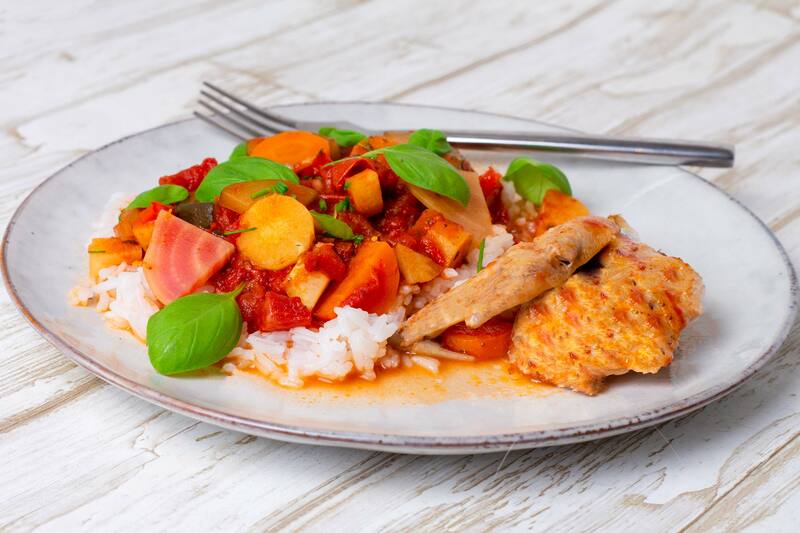 Pick the leftover chicken meat into strips and mix with the veggies from the autumn casserole. Heat it up in a pot or in the microwave. 3. Toast the pitas on a toaster or warm them in the oven. 4. Serve the dish with piping hot rice and warm pitabreads.